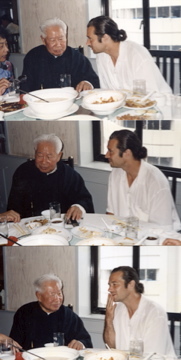 In June 1994 I had the privilege of treating Master Fu Zhongwen to lunch at his favourite restaurant in his hometown of Shanghai. 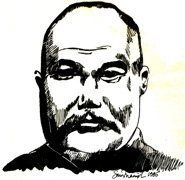 The meeting was arranged by Madame Wang Jurong, an old friend of Master Fu's and a member of our North American Martial Arts Exhibition Team which had recently performed in a dozen or so cities around China. Madame Wang encouraged me to ask Master Fu questions about the practice and history Yang-style Taijiquan. For two hours, Master Fu spoke very candidly about the art, it's curriculum, prominent figures in Yang history and his relationship with his uncle and master, Yang Chengfu. Three things impressed me greatly about this man who I'd only met previously in the company of a large group. 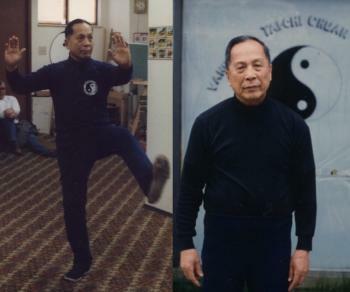 First, at age 92, and nearing the end of his life (he was to pass away exactly three months after our meeting), he spoke with passion about the role taijiquan could play in bringing peace and harmony to people's lives. Secondly, he spoke with deep affection and appreciation for the role his teacher had played in his life and, through his teaching, in the lives of so many people around the world. Finally, although he was somewhat frail at this time, he was still radiant and expressed 'peng' with his every gesture and in his speech. Though I had been studying pictures and films Master Fu since age 18, I found great inspiration in his presence and continue to appreciate our brief, intense meeting as a true lesson from the master. Prior to my first visit to China in 1985, my teacher Brien had arranged a series of special sessions for me with his teacher Master Raymond Chung. I had met Master Chung on many occasions and he had seen me in push-hands demonstrations with Brien at his club banquets. These demos were always extremely dynamic and involved explosive presentations of uprooting. Master Chung always showed polite appreciation for our performances. Master Chung always asked Brien about my progress but other than these demos, he hadn't seen how Brien's teaching was progressing in this next generation. Since I would be traveling to China and representing our style, Master Chung was generously willing to take a month and evaluate and correct my entire Yang curriculum. In the beginning sessions we looked at the solo forms: barehand, sabre and straight-sword. Master Chung watched patiently as I nervously presented my routines and gave me good natured corrections. He spoke very highly of my 108 bare-hand form saying, �You Yang form very perfect.� I was extremely encouraged by this. 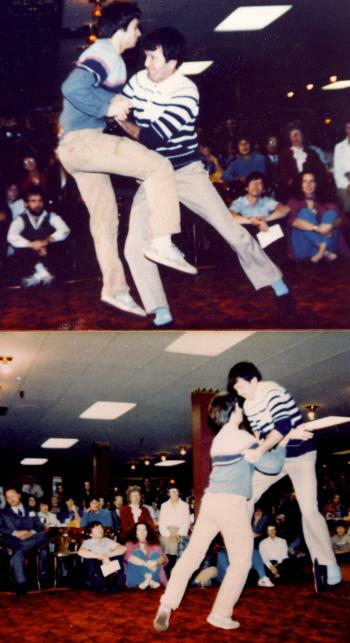 When it came to looking at the vast push-hands curriculum�the 1-8, four-hands, da l� and the 88 san-shou form, I was to receive a great series of lessons. At first we would go through the drills quite formally with no deviation from pattern, but later, I think as he came to trust my touch and intentions, he started to change things up, introducing riddles for the solving and changes which required my whole presence to fathom. His was the touch of a fifty year veteran of the art.